Here’s a look at the odds for every team to win their series, win their conference and win the title. The Warriors won by 17 in Game 1 against the Clippers, so it’s little surprise to see the simulations all but guaranteeing they’ll move on to the second round. From there, their odds don’t really get all that much worse, as the SportsLine data gives them just under a 70 percent chance of winning their third straight title. Pretty much everyone has them as favorites, but that just puts in perspective how much better than everyone else they are. The Traill Blazers escaped with a Game 1 victory over the Thunder, and though many predicted a potential upset in that series, the data now has Portland as heavy favorites to move on. Up 1-0, they’re chances of advancing to the second round are just under 70 percent. It certainly helps their chances that Paul George’s shoulder isn’t 100 percent. James Harden and the Rockets cruised past the Jazz in Game 1 of their series, and now have the second-best chances of any team in the West to advance to the second round. Unfortunately for them, their chances of advancing past that point are just 10.3 percent owing to the fact that they’ll likely have to face the Warriors. As SportsLine sees it, the winner of that series will win the conference. There were two big upsets in the East in the first round, as the Raptors and Sixers each lost Game 1 at home. And now, the SportsLine data has both teams as underdogs moving forward. That’s more understandable on the Sixers’ side, as Joel Embiid isn’t 100 percent. 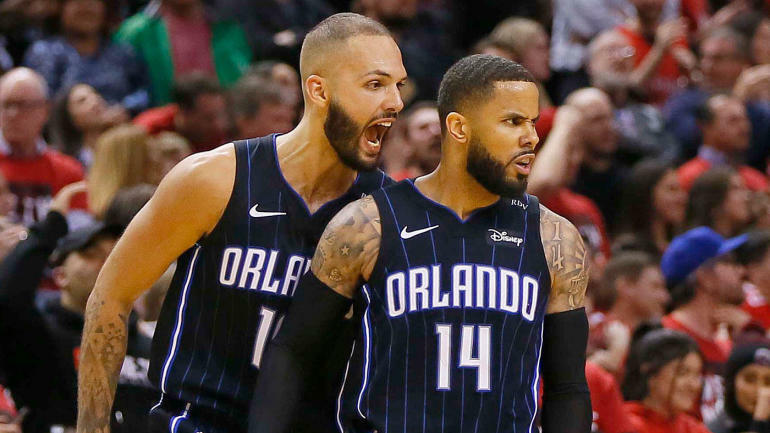 However, it’s a bit surprising that the Magic have nearly a 60 percent chance to take four games from the Raptors. After the Celtics crushed the Pacers in Game 1 of their series in Boston, they now have the second-best odds of winning the East. They’ll have to get through the Bucks in the second round — assuming each team advances — in order to do so, but SportsLine gives them a 25.2 percent chance of going to the Finals.